Very helpful description! 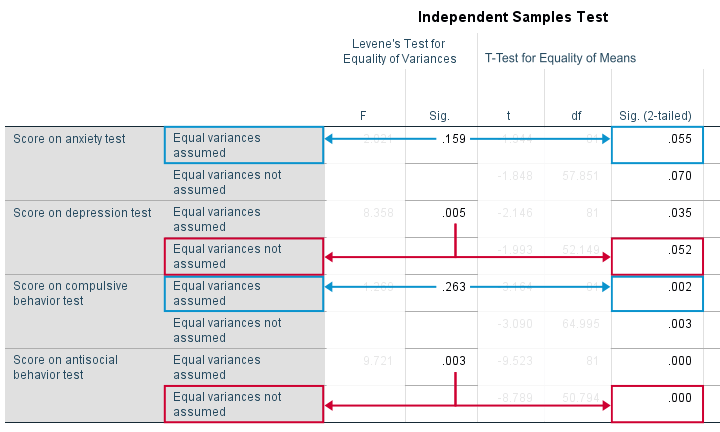 I am wondering if it's possible to do a post-hoc analysis (such as least significant difference) with an independent samples t-test? I know one can always do a Bonferroni (even manually), but Bonferroni is super conservative! very nice and simply explained. Oh, I forgot a very recent -and popular- one: Statistical Significance – What Does It Really Mean?. That should get you started fast with basically all statistical tests. Standard Deviation - What Is It? How to Run Levene’s Test in SPSS? A more detailed tutorial on just this t-test will come up as well, probably in some 3-4 weeks. It'll be published on our facebook page. Frankly, due to the fact that this topic is brand new to me and never read it or heard about it, I am facing major difficulties in understanding it. The abbreviations used are not familiar to me.